Toppits Eiskugelbeutel® mal anders: Perfekt für deine Soße. The pasta is already steaming and your stomach is rumbling? Or have your friends come to visit spontaneously and unfortunately you have only cooked sauce for one person? 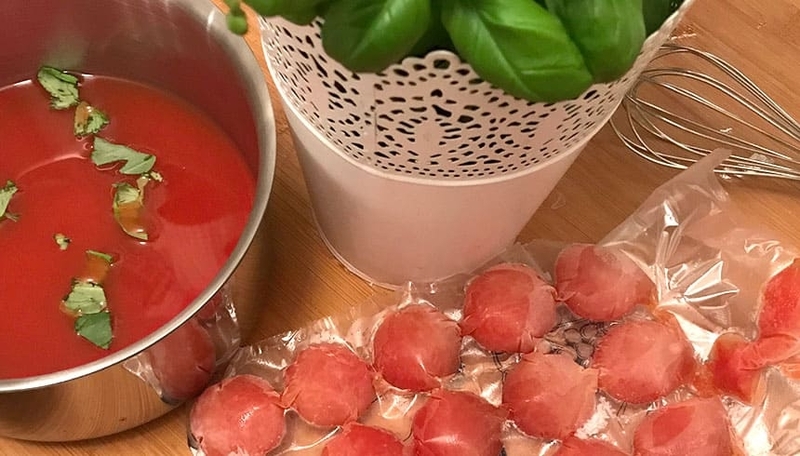 With our ice cube bags you can always prepare just the right amount of sauce super fast. Next time you make your favourite sauce, just make a little more, put it in the easy-to-fill ice cube bags and freeze it. Next time you have a ravenous appetite, all you have to do is remove the number of "sauce cubes" you need, heat them up and pour them over the delicious hot dish. Your rumbling stomach will soon be forgotten.